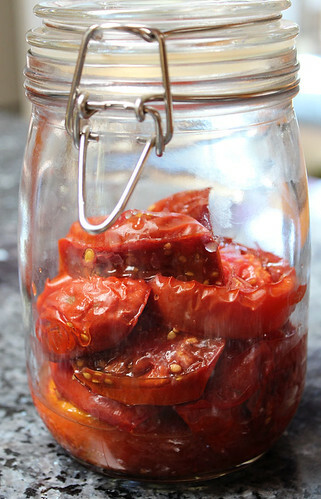 I have fallen head over heels for roasted tomatoes. 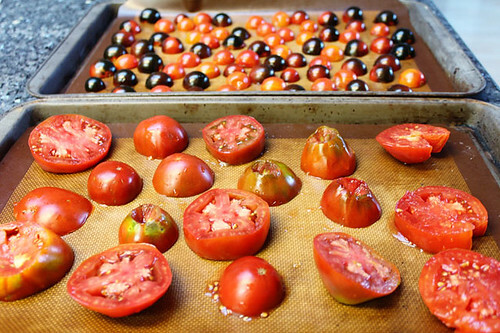 Roasting tomatoes slowly in the oven is an easy, hands-off technique to coax the deepest flavor from even out-of-season tomatoes. And having a stash on hand means you can upgrade almost any meal at a moment's notice. plain, just as they are! Sometimes I spoon just the juicy good stuff from the tomato jar. My boys don't care much for tomatoes, but they don't notice when I use the tomato juice to boost the flavor of their plain pasta or a vinaigrette. We're enjoying the late tomato season here, but as fall settles in I'll rely heavily on roasted plum and cherry tomatoes to see me through to next summer. Those wintertime tomatoes are just ... sad. Roasting gives them such a boost. Roasted peak-season tomatoes, however, are divine. If you're blessed with an abundance of late-season tomatoes — cherry tomatoes never want to quit! — try roasting and freezing some. This takes time, but not much work. 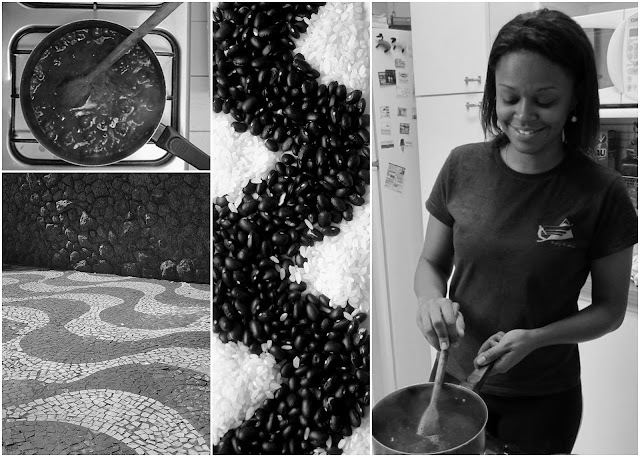 If time is short, crank up the temperature by 25 or 50 degrees and shorten the roasting time. Heat oven to 250 degrees. Line a baking tray with foil or a silicone mat. Core and slice large tomatoes and set on pan. 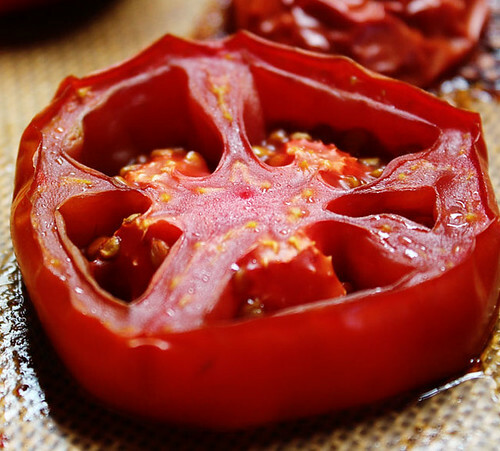 Remove stems from cherry tomatoes and slice in half, and set on pan with cut-side down. Add garlic cloves and herbs, if using. Drizzle or mist with a little olive oil and sprinkle with salt and pepper to taste. 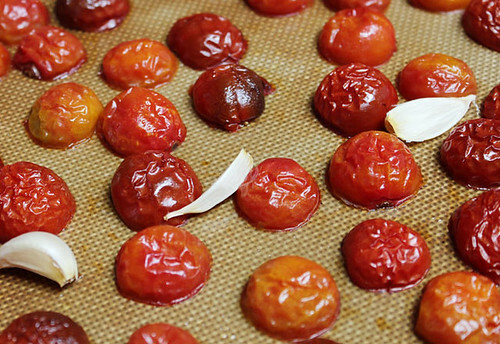 Bake tomatoes for two and a half to three hours. The skins will be shriveled and darkened. Taste as you go and take them out when you love them. They'll get drier the longer they're in the oven. Enjoy immediately, store in the refrigerator for up to a week, or freeze.